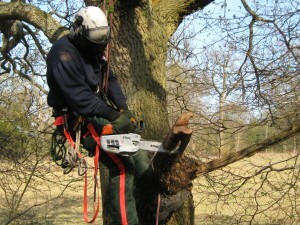 Pre-requisites: Candidates must hold a Certificate of Competence for Aerial Cutting of Trees with a Chainsaw using Free-Fall Techniques (CS39 or 0021-08) prior to attending this course. Learners must be physically fit and not suffering from vertigo or similar conditions or on medication that could affect your safety. The course is designed to be short, sharp and focused and will provide refresher training for trainees already Lantra Awards trained and/or certificated for this activity. Learners completing this course will receive a Lantra Awards Certificate of Training for Refresher – Use of a Chainsaw from a Rope & Harness.